Here on May 11 (Friday before Mother’s Day) after 12 p.m. Individuals can also call 778-5048 to order and pay over the phone. 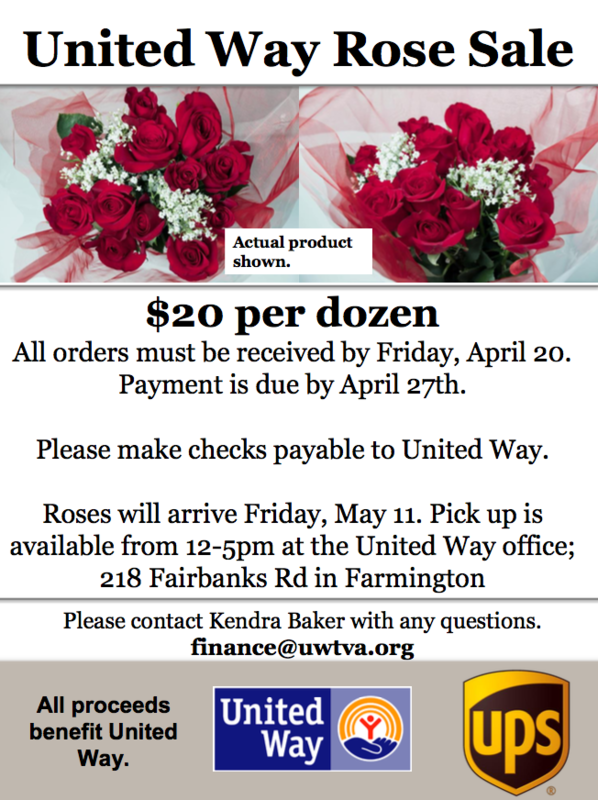 This is a great price for a dozen roses, especially when you consider that $9 comes right back to Greater Franklin County.